Now available in Grand Cayman, you have the option to experience a private excursion on our luxury sport yacht – the Cayman Evasion, whether for half a day or all day. 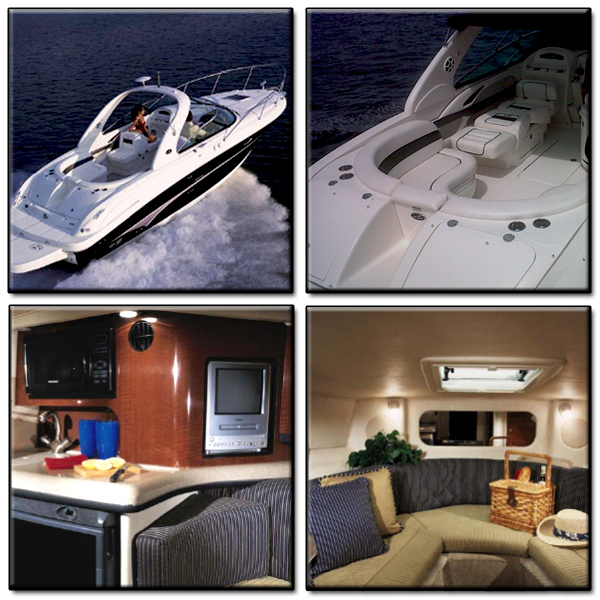 Check out the fun things we do on our charter! Our rates on our RESERVATIONS PAGE are very competitive and our service is top notch. We can accommodate up to 7 guests on board. Whether you choose a half day charter (minimum of 3 hours) or a full day charter, we include everything you need for your incredible day on our Cayman waters. All you need to bring is a towel and your smile! If you would like to capture the memories of your charter, we suggest hiring one of our professional photographers. We offer complete, professional, photography packages. Simply mention your request when making a reservation. Call today at office: 1-345-949-6089 – cell: 1-345-938-2525 or just fill out our reservation form to check availability. Need more information – email us at Info@CaymanLuxuryCharters.com.